PARALYZED PEOPLE CAN PLAY GOLF! At one time, Anthony Netto was a professional golfer in South Africa with all the physical ability in the world. In 1994, that reality changed drastically with an automobile accident that left Anthony paralyzed from the waist down. He spent many months after the accident involved in grueling rehabilitation. 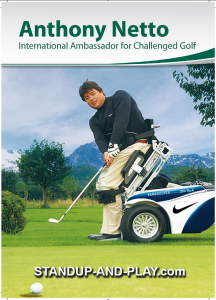 Determined not to give up on life and not content with confinement in a sitting position, Anthony began working with a team of engineers to design and develop a vehicle that would enable and help him to stand and play golf again. 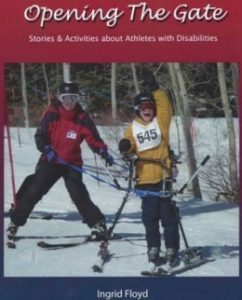 Anthony founded the Stand Up And Play Foundation, which aims to ensure that every state in the USA has at least five such vehicles, or ParaMobiles, available as therapeutic tools and to allow persons who are wheelchair-bound to enjoy the chance to stand up and play. A training workshop has been developed for medical professionals, golf coaches, and rehabilitation centers that enables them to work together and provide a service to those in need. For more information on the Stand Up And Play Foundation, please email info@standupandplayfoundation.org.